By Humza Mehbub in Concept. Updated on October 15, 2017 . 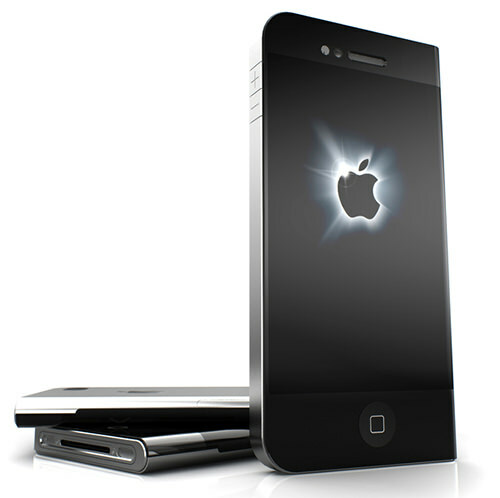 Here we go again: Chinese whispers whistling in the wind about the new iPhone 5 hitting stores some time in September. 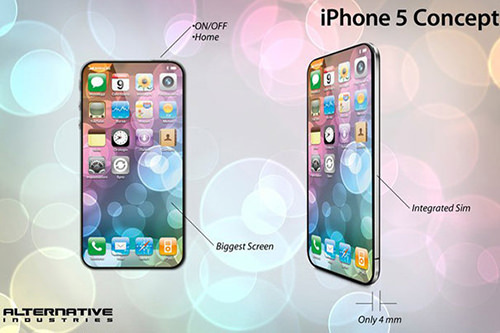 While the world waits for comfirmation from Apple, some creatives have taken the liberty to think up their own iPhone 5 concepts. Most are moderately realistic, some futuristic, and a handful of these designs are made to push boundaries. At least, wishful thinking still counts for something these days. Let’s not waste any more time alright? 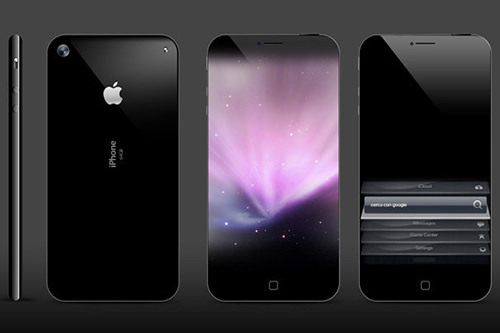 Feast your eyes on these delectable iPhone 5 concepts that can help keep you busy until the real one hits stores. Name your favorite in the Comments section. 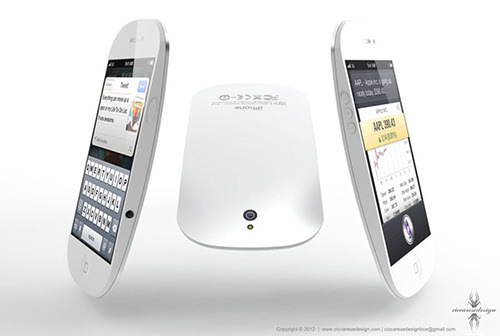 A concept developed by NAK Studio, this Liquid iPhone 5 LM features a monstrous 4.5" widescreen, a Quad-core A6 chip, a vritual home button that disappears in landscape mode, and a 10-MP camera. It’s also 1.4 mm thinner than the current iPhone, giving it a sleek, classy look. 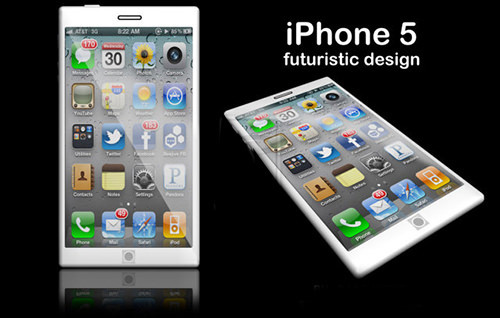 This is by far one of the most unique and creative concepts out there for the upcoming iPhone 5. Such a design would revolutionize smartphone designs forever. Apart from a see-through retina display, it features a Quad-core A5 chip, the latest iOS, a virtually projected keyboard for better typing, and augmented reality. This concept has a lot of shine to it. 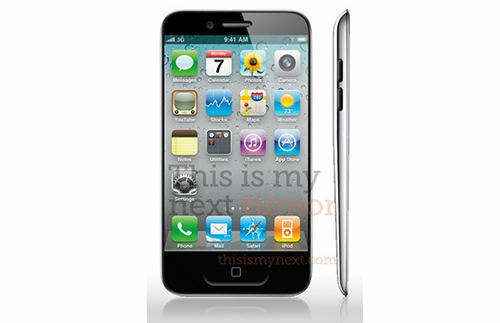 This iPhone 5 vision involves an elongated Home button, a slim, rectangular design featuring a 4-inch display. At 7-mm thickness and a 10-megapixel iSight camera at the back, plus a 5MP one at the front, this concept is as optimized as it can get. Time to add a slight curve to the iPhone design. To cater for the ergonomic change, the camera is now placed right in the middle, topside. When viewed from the back of the phone, the design is very similar to Apple’s Magic Mouse. 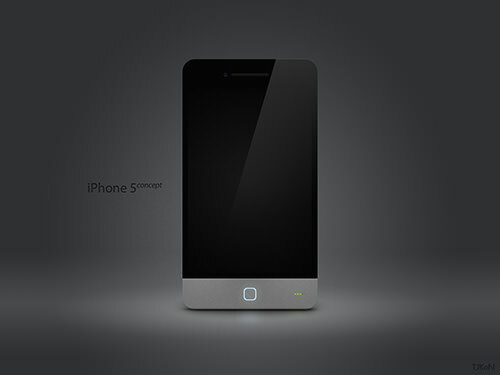 From the curvy to super boxy, this Square iPhone 5 concept instead features a tiny round touchscreen Home button. The "Home" button is digital and can show you icon apps on it (one icon at a time) which users can slide up to open. It can also be used to show the "Weather" and "Time" in Sleep mode. This design is interesting as it goes from traditional rectangle or curved designs to one with a more unique touch to it. One side of the phone has corners while the other doesn’t. The side "+" and "-" buttons are more embedded into the side design. Asymmetry aside, there isn’t much else to add to the concept, but what a concept this is. This concept was built on rumours that kept pouring in from all side – designed by the folks over at "This is My Next". The sketch suggested a screen of 3.7-inches, which will occupy the entire (or near it) front of the phone, leaving almost no bezel. The Home button doubles as a gesture area and you won’t find any buttons on the side of the phone. 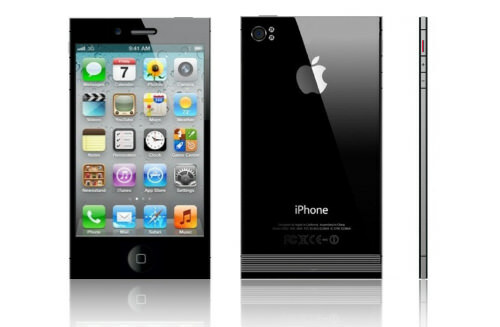 The "New iPhone" concept is based on the hoards of rumors coming in regarding the iPhone 5 having a ‘confirmed’ 4.0" inch screen. It supports 4G LTE without a SIM card, features two panel speakers, an integrated Home button and it’s large display screen allows for desktop space. One of the most realistic mockup in this whole group, if you see this for the first time you would probably think it is the real deal. The notable differences I can see are a little more round bezel around the corners, new side buttons along with a polycarbonated lightweight body. if you haven’t figured it out, the SJ stands for Steve Jobs, the source of inspiration for this mockup design. The best things I like about this concept are the various colors, as everyone has different favorite colors. 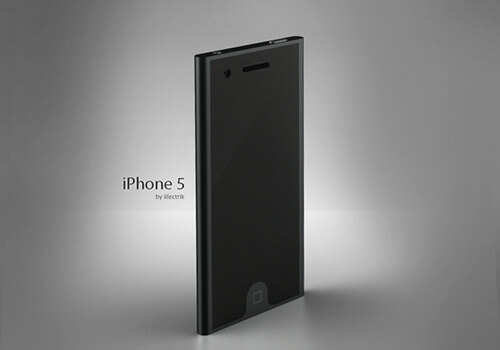 The features of this concept include an 8-megapixel camera with HD capture, and (I assume) an Apple A5 dual-core CPU. This iPhone 5 uses a single part casing that is made out of magnesium, for a very lightweight design. This model, made by Alternative Industries (according to design measurements given by the artist) measures a mere 4 mm in thickness and takes the whole idea of a bezel out of the design. The size of the screen is approximately around 4.0 inches by the looks of it. 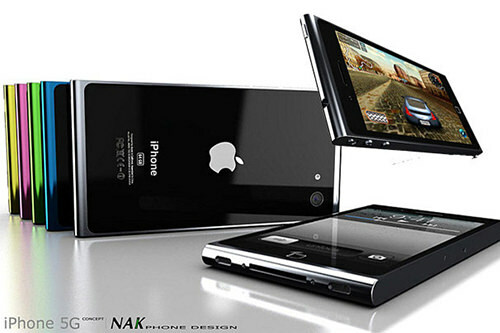 The pleasures of browsing online and watching a movie on this iPhone 5 concept would be an amazing experience. This concept comes from Italy, courtesy of Antonello Falcone. The idea is based on a bigger display, something around 4.6" inch, built on a curved glass display giving the device a reduced thickness of 8.4 mm. Another major change is the replacement of the physical "Home" button with a softer touch area. 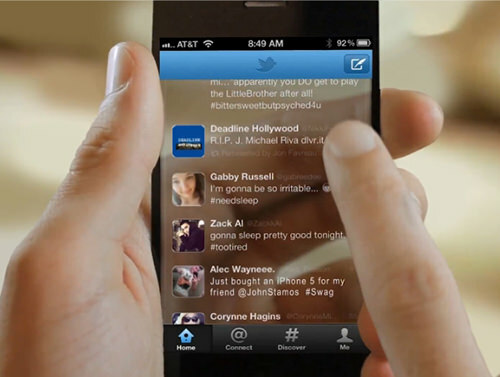 Will the thought of having a larger display screen push iPhone makers to adopt HTC’s design style for the new iPhone 5? I doubt it. You can tell I’m not a huge fan of this concept but with a larger screen rumored in the mix, this is a viable design to consider. 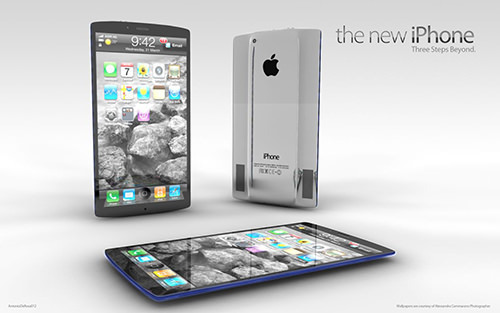 This may not be the best render out there, yet it serves as a good concept of the upcoming iPhone 5. 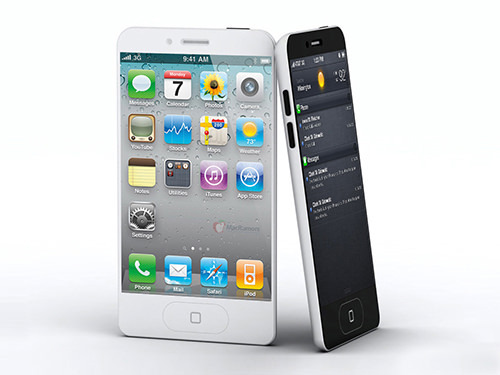 A traditional white color would be great, considering the popularity of a white iPhone 4. Speculating, looking at the image, there is a notable larger screen as is predicted for the iPhone 5, however, one thing I notice is that the "On/Off" power switch is shifted to the left-hand side rather at the default right. The concept has an LED light on the lower right side (next to the "Home" button) to notify you of the smartphone’s functioning mode, orange for no service or connection, green for good battery life, red for low, and flash white for new notifications. The thickness of this iPhone measures around an amazing 6.35mm while the length comes to close to 6 cm. It looks more like a pouch than a phone. 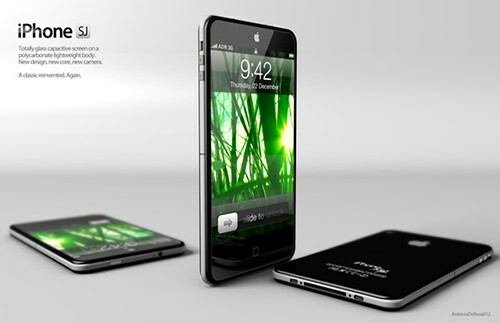 This iPhone concept takes things to a whole new level and incorporates the use of a spider-like stick-on design. 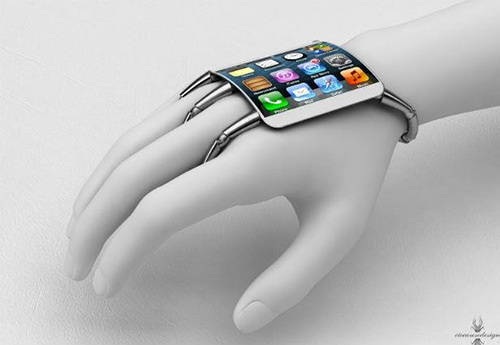 This makes it more of a jewellery, a bracelet if you will, rather than a phone. In my opinion, the screen would be flexible and very resilient, probably with a 3-inch diagonal or close to that. 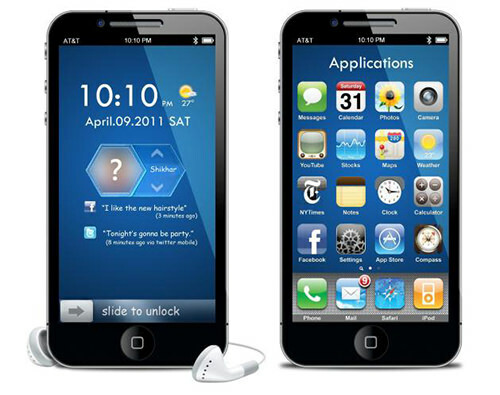 This design is similar to the current iPhone and has a much more similarity to the current iPod Touch. The representation here, however, does show a 4-inch screen that preserves Apple’s current screen ratio. The design is thicker at the top and slightly reduced at the bottom. We’ll see if this is close to the real very soon. By the time this post is published, I am sure loads of other concepts will surface across the Internet. So, if you know of any concept that has caught your eye more than others, post a link below in the comments and let us know too.